Dr. Cobelli is a recognized expert in the field of orthopaedic adult reconstructive surgery with a focus on adult hip and knee replacements. From March 2002, he served as Director of the Orthopedic Division of Surgery, until his appointment as Chairman of the re-established academic department at Einstein in June 2012. As the University Chairman of the unified Department of Orthopedic Surgery at Montefiore and our Albert Einstein College of Medicine, he has worked to strengthen the academic side of the department, developing a laboratory research base at Einstein by collaborating with and supporting Einstein scientists whose programs relate to connective tissue biology. He has also developed one the most competitive residency programs in the country, attracting top medical school graduates for orthopedic training. Dr. Sharan currently practices all types of spinal surgery with an emphasis on minimally invasive spine surgery, cervical spine surgery and spine tumor surgery. Dr. Sharan collaborates with physicians in various disciplines, such as rehabilitation medicine, physical therapy and radiology, to provide with the best plan of care. He is interested in understanding healthcare policy and committed to providing the local community with the highest quality of spine surgery care. Dr. Kim practices orthopaedic surgery with an emphasis on hip and knee arthritis and joint reconstruction. He specializes in adult reconstruction of the hip and knee. Dr. Kim emphasizes non-operative treatment prior to any surgical intervention. He is an active participant in medical education, both in the medical school and the orthopaedic residency program. Dr. Kim joined the Department of Orthopaedics in 2005. He is board certified in Orthopaedic Surgery by the American Academy of Orthopaedic Surgeon and is an active member of the American Association of Hip and Knee Surgeons and the Eastern Orthopaedic Association. In 2007, he was named Attending of the Year in Montefiore’s Department of Orthopaedic Surgery. Dr. Kulsakdinun has special interests and advanced training in foot and ankle surgery. He specializes in forefoot reconstruction of the foot, such as bunions and hammertoes. He also has training in hindfoot reconstruction for post traumatic deformities, flat feet, diabetic foot problems and athletic foot and ankle injuries. Dr. Kulsakdinun is board-certified in orthopaedic surgery and is a member of the National Board of Medical Examiners and the American Orthopedic Foot and Ankle Society. 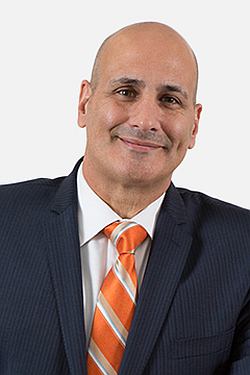 Dr. Catanese has extensive experience in reconstructive foot surgery, clinical podiatric medicine and trauma of the foot. He is a nationally-recognized expert in the use of radiofrequency for non-surgical treatment of heel pain and nerve pain. Dr. Catanese treats all medical, surgical and traumatic disorders of the foot, as well as surgical revision of patients with a failed previous foot surgery or an unacceptable result from a previous surgery. A large number of surgical procedures performed by Dr. Catanese involve reconstructive surgery of the forefoot for bunions, hammertoes and boney prominences. Dr. Catanese has served as Director of the Podiatric Medicine and Surgery Division of Montefiore’s Department of Orthopaedic Surgery since 1996. He is a frequent contributor to various print and media outlets. Dr. Gonzalez’ practice emphasis is in sports medicine and arthroscopic surgery. In particular, he specializes in arthroscopic shoulder surgery including rotator cuff repair, instability/labral repair and associated conditions. He also performs arthroscopic knee surgery. Dr. Gonzalez has been a member of the faculty in the Department of Orthopaedic Surgery since 1998. Dr. Gruson performs both arthroscopic and open rotator cuff surgery, instability surgery and shoulder replacements. Additionally, he has a particular interest in fracture repair of the upper extremity, including minimally invasive techniques. Dr. Gruson is currently Assistant Professor of Orthopaedic Surgery at Albert Einstein College of Medicine where he is actively involved in resident and medical student education. He has published numerous articles on shoulder surgery in peer-reviewed journals and has presented his findings at local and national meetings. He is a member of the American Academy of Orthopaedic Surgery and the New York State Medical Society, as well as a Diplomate of the American Board of Orthopaedic Surgery.